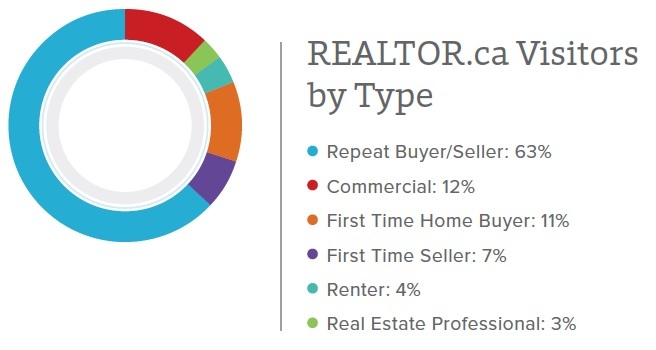 CREA recently released their REALTOR.ca 2014 Consumer Insights Report for REALTORS®. Where is the traffic coming from? How many leads were generated by the site for REALTORS® across Canada? These questions and more are answered in the report. The CREA Café shared 10 tips you can put into action when marketing your listings on REALTOR.ca. Ensure your property descriptions speak to the target audience. Make sure the buyer can see themselves in the description (i.e. first-time homebuyers, etc.). Link your listings on REALTOR.ca to everything you do, including tweets, Facebook posts, and client emails, to make sure potential buyers see it on the most trusted real estate website in Canada. Check that your email is up-to-date with your Board/Association to ensure you receive email leads from REALTOR.ca. Ensure your profile on your Board/Association’s MLS® System is complete, including all contact information, social media profiles, and specialties. Make sure listings include as much neighbourhood information as possible so homebuyers can learn about the neighbourhood from REALTORS® while travelling with their mobile devices. If you are using social media to attract international buyers, make sure that you are aware of cultural differences. The more information you provide on a listing, the more relevant it is from a search perspective, improving its ranking when searched in Google and other search engines. Check your listings regularly on REALTOR.ca and update the description as you get feedback from early visitors, taking advantage of the regular uploads from your Board/Association. Use high-resolution photos of both the interior and exterior of your listed properties. Also include the property addresses in the file names of your photos to improve search results. Build a following on social media with your target audience by providing new and useful information about neighbourhoods, properties, open houses, etc., which in turn builds trust and expands your network. To get the full story on these recommendations, download a copy of the REALTOR.ca 2014 Consumer Insights Report for REALTORS® today.